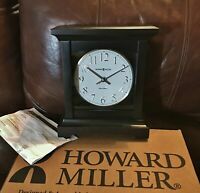 I have always wanted a mantle clock similar to what my grandmother had when I was growing up. It came exactly as was described and was packed nicely in the box. Thank you for adding a bit of nostalgia to my home! SMALLER THAN I WAS EXPECTING.....EVEN KNOWING THE MEASUREMENTS...IS IT WOOD? LOOKS VERY NICE AND SOUNDS LOVELY! PLEASED.